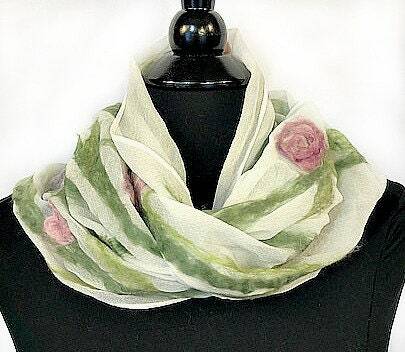 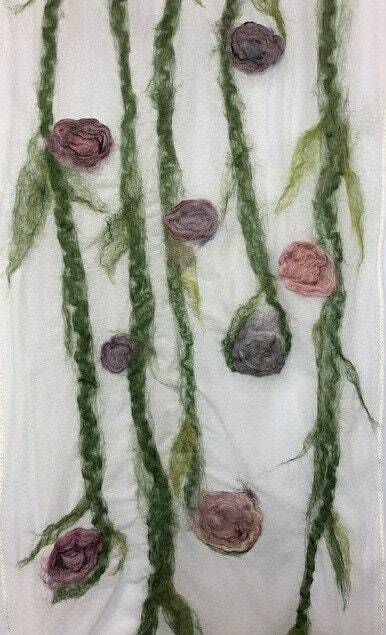 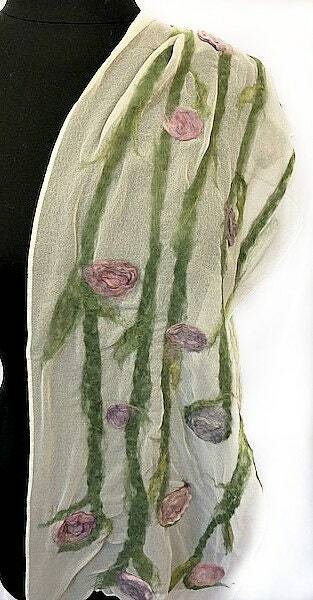 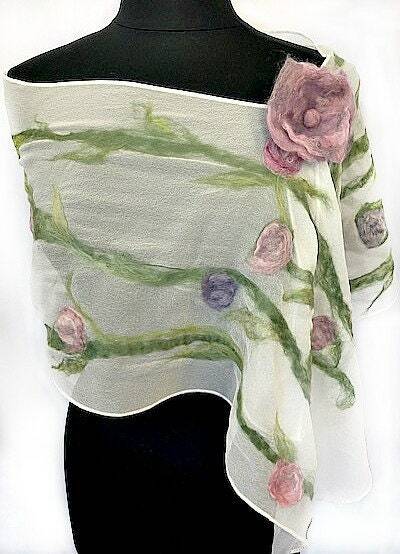 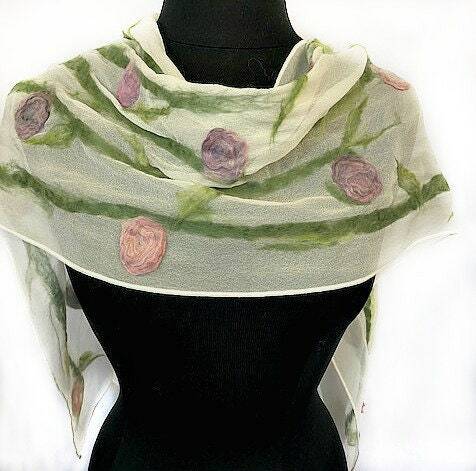 This flowing felted scarf is adorned with pink and lavender flowers and was inspired by the beauty of a spring garden. 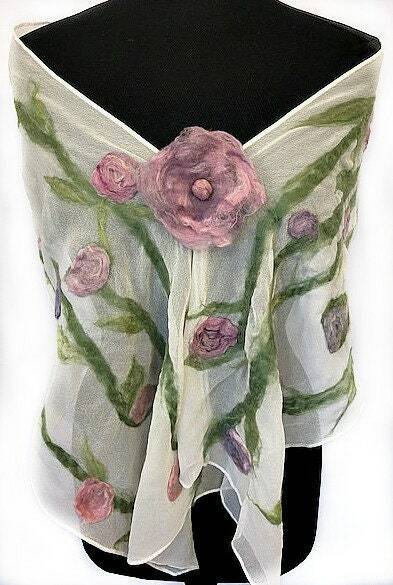 It is just waiting for the perfect outfit to compliment! 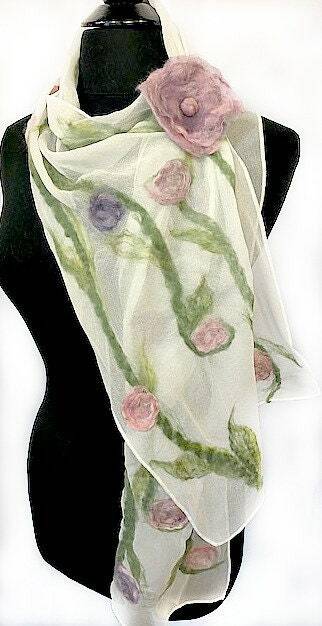 It was made with silk chiffon, natural merino wool fiber and was made through the process of wet felting. 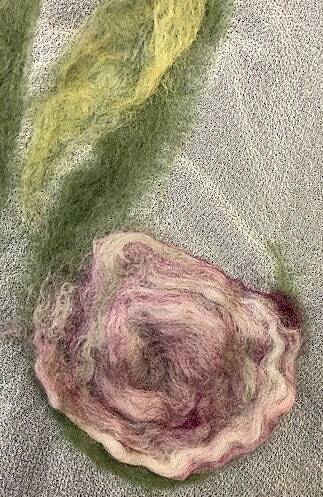 It also includes the lovely felted flower accessory,.